Learn how to choose stocks for intraday trading in India. Check out important parameters that you need to keep in mind while selecting stocks. One of the most important steps in intraday trading is the selection of stocks for your intraday trading universe. Intraday trading has to be restricted to stocks that show predictable patterns: too much volatility or too little movement does not serve the purpose. Your stock selection has to go through a complete screening process. Let us first see why stock selection for intraday is so important and how to pick stocks for intraday. The one question we are always trying to answer as an intraday trader is how to make profits in intraday trading. This process begins with how to select stocks for intraday trading. Here are some key parameters to consider while picking stocks for intraday. This is quite obvious. An intraday trader is already trading on thin margins. The last thing you want is to get stuck in an illiquid position. There are two ways to look at liquidity of stocks in a measurable way. Firstly, you can look at liquidity as the proportion of daily volumes to market capitalization. A normal benchmark considered is 15-20%. Anything below that runs a liquidity risk. The second aspect is a slightly more intuitive. A good intraday stock is one that trades with small ticks. This means that trades can be executed with a minimal impact cost. Ensure that ticks are trading at the bare minimum and also there are sufficient volumes on each tick. As an intraday trader, you will need to extensively use technical charts and charting patterns to make profits in intraday trading. You cannot just go by calls given by others, but you need to formulate your own strategy and system for trading intraday. Check the historical patterns of the stock and read the charts. Then, try putting in small trades to test it out. If the chart pattern is not too clear, the past patterns are not necessarily a good reflection of the future. Be wary of stocks that are either too volatile or where the supports and resistances keep shifting. Also avoid stocks that give too many false breakouts on either side of the trend-line. This may appear to be challenging to measure but it is not. There are various proxy measures you can use. For example, stocks that are extensively tracked by analysts will show more predictable patterns and will be easier and more profitable to trade intraday. Try to trade intraday in companies that show consistent growth in profits. Loss-making companies and high debt companies can be very vulnerable as we have seen time and again. Such stocks are best avoided for intraday trading. Also stick to stocks that are widely held. A company with limited floating stock can be vulnerable to price management and also to sharp price movements. Highly correlated stocks are those that move in tandem with one another. Normally, when we create a portfolio, the focus is on stocks with low correlation so that diversification benefits are available. In case of intraday trading, there should be more focus on high correlation because it allows you to replicate a trade on one stock for a number of other stocks too. Of course, you need to look at very short term correlation in this case. Selecting stocks for intraday trading must also focus on certain qualitative factors. Intraday trading is all about predictability, and you are always more comfortable when dealing with companies that have a qualitative edge to them. Focus on companies with a management pedigree. To trade intraday, you must be able to study momentum and this is only possible when the management is predictable. A reputed management will always focus on stability to give that added comfort level to investors. Ideally, stick to companies that follow elevated standards of disclosure and corporate governance. 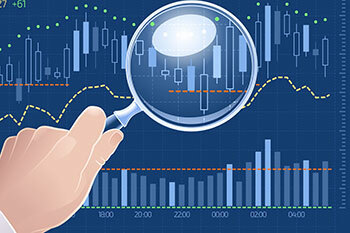 Does it really matter for how to pick stocks for intraday trading? It does because you don’t have much to worry about sudden negative surprises. Such companies also exhibit more predictable price movements; hence, discerning patterns becomes more meaningful. Companies with strong brands have something to fall back on when the financial performance gets into a cycle. When the going gets tough, you will find that the company with a better brand franchise is less vulnerable. Select companies that show price reaction to news. This is the crux of intraday trading because you want to identify a pattern on charts and then trade ahead of news.